Boer’s Transfer & Storage has been family owned and operated since 1929. That’s impressive. Keeping up with changes and staying ahead of the curve are priorities at Boer’s, which is why they have been in business so long. They know what it takes to succeed. Boer’s existing website was not working for them. A gem when it was built, the site was dated and had lost its luster, making it more and more difficult to edit. The forms for moving quotes failed to work. Their logo and three of their services were not even mentioned online. 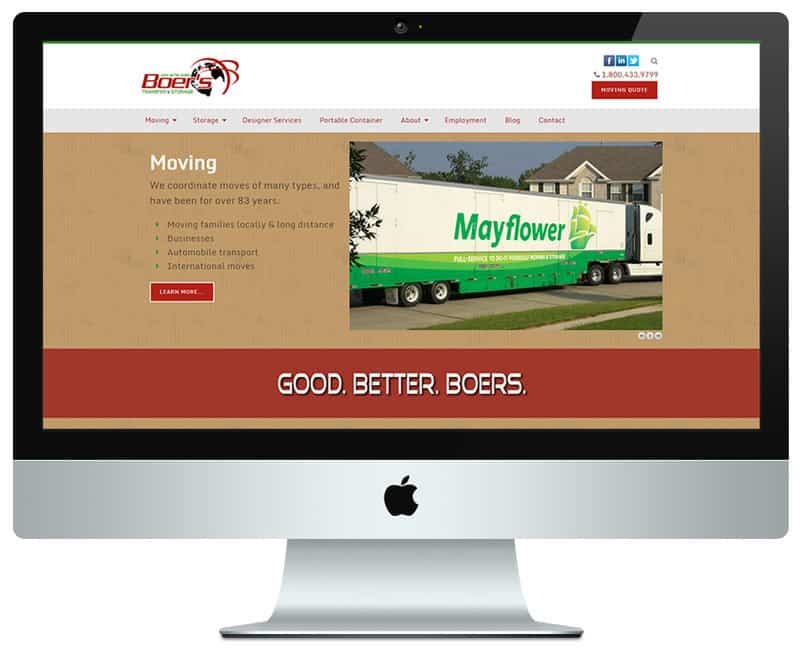 Boer’s was becoming less and less Searchable, and receiving leads is a key component to the success of their business. Boer’s was not making the impression they wanted to make. As we worked through their goals, I learned about their business and what was important to them. They wanted to modernize their website, integrate additional services, incorporate their company video, improve their social presence and utilize their new logo. With that in mind, Boer’s got the full treatment from Rumspeed: a modern website that is Search Engine Optimized with a Social Branding Package that extends their Online Presence.